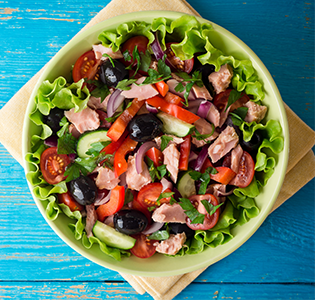 Want a healthy and satisfying lunch? 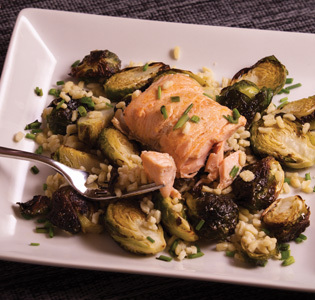 Find many delicious recipes here! Experiment with different types of chicken sausage to add a bit of variety, including flavors of jalapeno to add a little spice. 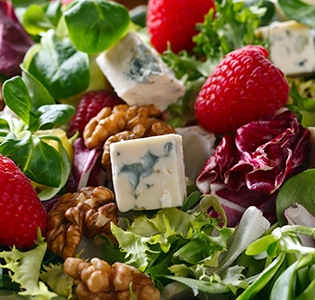 Strawberries lend some sweetness to this classic salad with tuna and veggies. 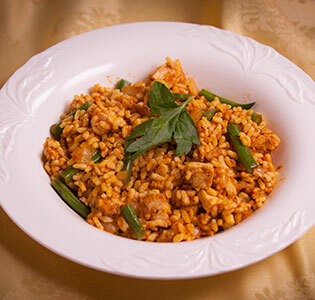 This traditional dish from Spain combines orzo and chicken breast with onion, tomato sauce and green beans, seasoned with garlic, bay leaves and oregano. 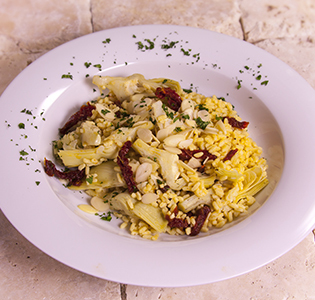 Bring some of the flavors of Italy to your summer meals with the combination of sun-dried tomatoes, artichoke hearts and orzo. 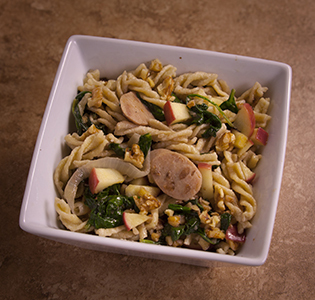 A nice easy lunch to serve when you have friends visiting. 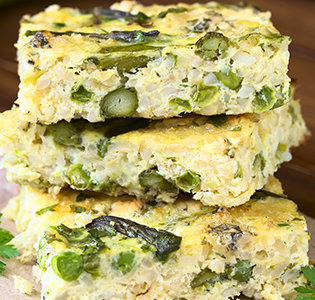 Make a big batch and bring to a cookout. 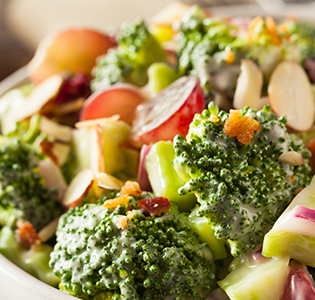 Just let your friends know there is plenty of protein already in the salad, so it’s okay to skip the burger. 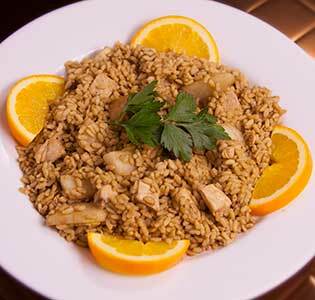 Orzo with a chicken broth and balsamic vinegar sauce, mixed with chicken and pears. 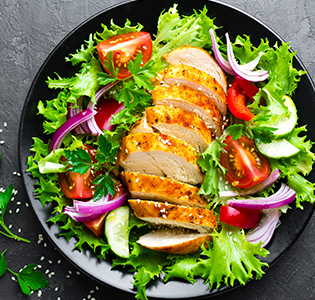 Finally, a Zone-friendly BBQ recipe perfect for summer barbecuing that lets you have a tasty meal while still being healthy. 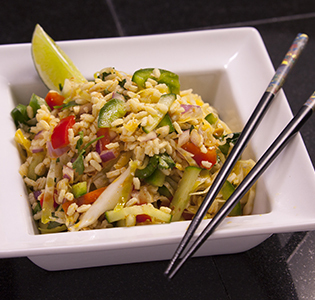 This healthy BBQ pepper and onion pasta recipe makes a wonderful lunch or dinner. 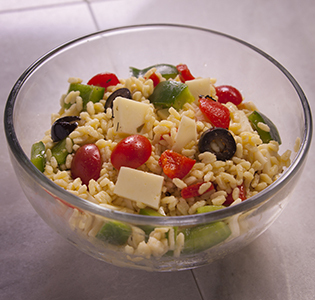 It’s fine to use fresh peppers too, but the frozen option is quick and easy. 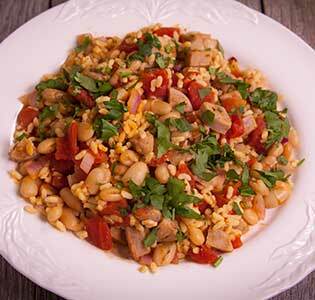 Straight from the Zone kitchen, enjoy this cannellini bean and sausage orzo dish, flavored with tomatoes, onion, garlic and cilantro. 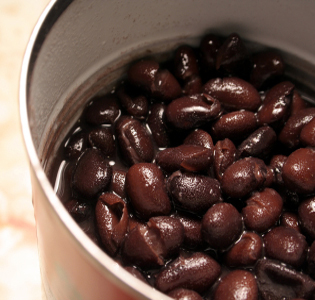 Salad has a touch of Mexico with avocado, black beans, Colby Jack cheese, and spice. A fine kettle of fish for a cold night with a cheerful cup of fruit salad on the side. 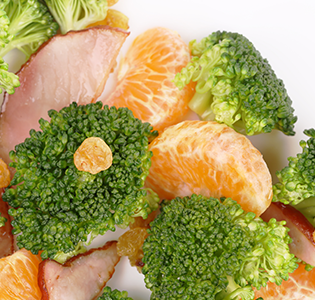 Mandarin oranges add sweetness to the broccoli and ham which makes the whole salad have a happy taste. 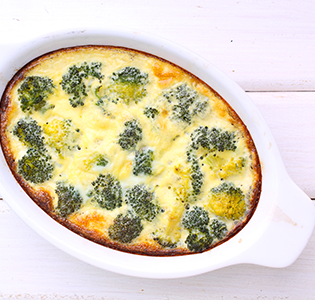 This Broccoli and Chicken Casserole tastes like Spring, with a milk, mustard, yogurt and lime sauce – topped with Parmesan cheese, and served with a side strawberry salad. 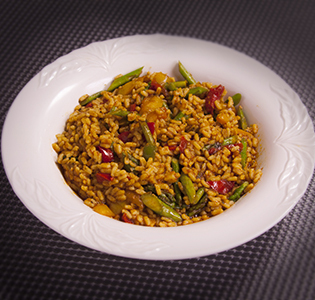 Fabulous meal for lunch or dinner, eaten hot or cold. 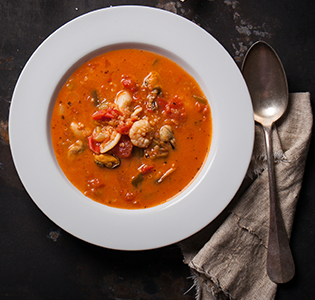 The sensuous flavors and textures taste just as good served cold as warm.